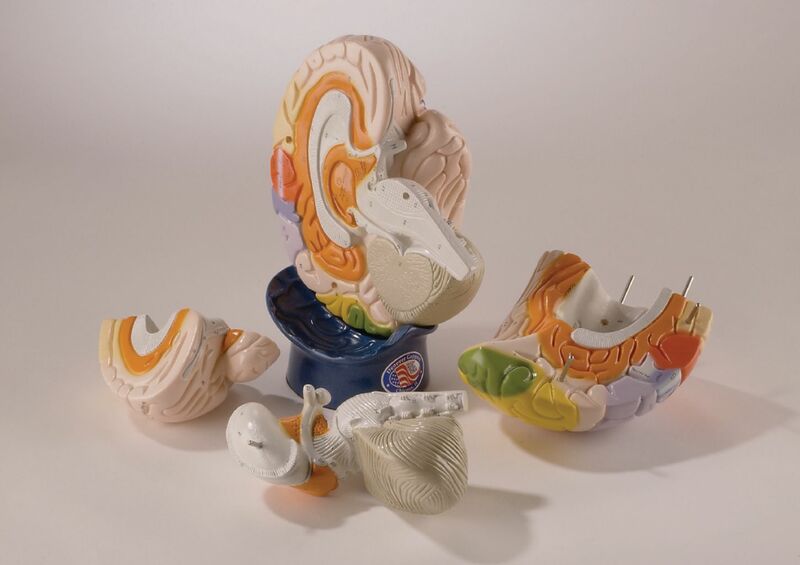 The Functional Brain Model illustrates motor and sensory centers. The colorful model shows students how the brain works. It depicts the brain of the average right-handed person with the intellect dominant in the left brain and the creative in the right. The limbic system, which functions as a relay station between the senses and the cerebral cortex, is identified on the model’s interior as the center of emotions and a key player in learning and memory. The intellectual functions of the prefrontal area, the sensory regions of the right half, the motor regions of the left, the motor centers for 19 body regions, and the somatosensory cortex are clearly labeled. The four-piece model is removable from a plastic base.